Henri-Robert-Marcel Duchamp (1887-1968) was a French artist and cultural critic. Along his lifetime he said some great things about being and living like a creative person. We salute him with this blackboard with some of his words. 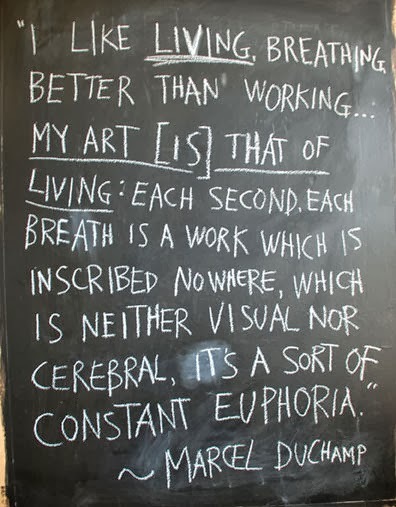 Marcel Duchamp is good for more than this quote. Find more of them here.